I'm running 4-gauge power wire from the battery, through a Stinger in-line fuse, to a small distribution block. I then run an individual 8-guage power wire to each one of the amps. Everything alse is clean and tucked away. The car itself is modified with full stainless steel exhaust, cold air intake and computer tuning. The suspension has been upgraded with sway bars and linkages, springs & strut stabilizers. I enjoy music and driving around, so there you go! 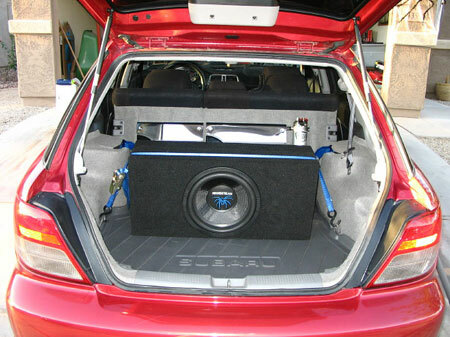 The custom subwoofer enclosure in the trunk. Making sure everything was installed correctly. Components in the rear doors. An amp and the Direct Audio capacitor. 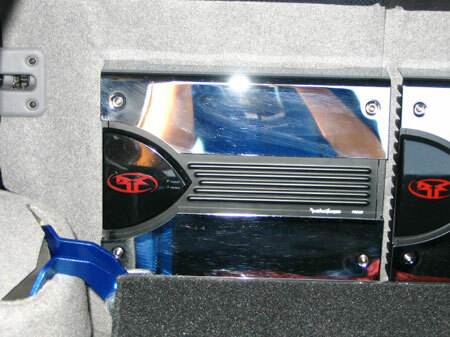 Rockford Fosgate supplies the power to the system. 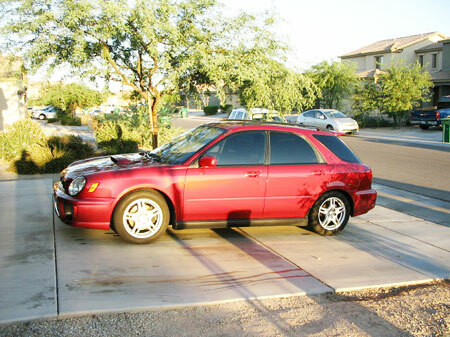 An exterior shot of the WRX wagon. 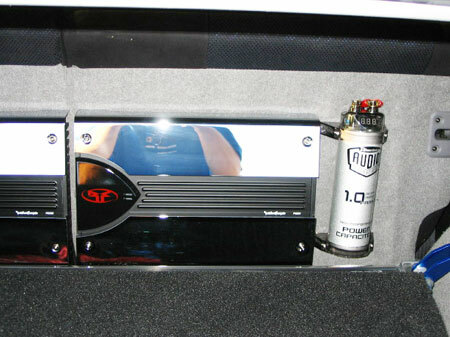 The custom enclosure houses a Soundstream sub.